Casinos are exploring ways to stay relevant to the young consumers who seem less interested in gambling than previous generations. 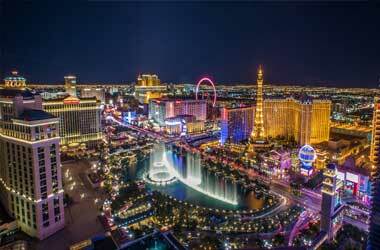 According to Las Vegas Convention and Visitors Authority, only 63 percent of millennials visiting Las Vegas last year gambled in comparison to 78 percent of those between the ages of 51 to 60. Studies show that slot machines no longer attract them and they prefer entertainment options like nightclubs over traditional gambling. Casinos cannot afford to ignore this consumer group. The term millennials is often used to refer to consumers born between 1980 and 2004. They make up more than one-third of US population today and account for $1.3 trillion of consumer spending. With oldest of this generation hitting their prime earning and spending years now, they become a key market for the casino industry and it is vital for casinos to adopt new business strategies to adapt to changing trends. You cannot be complacent when it comes to this generation. You cannot simply say ‘This is what worked in the past. Millennials are fundamentally different from earlier generations. The annual Portrait of American Travelers states that millennials are expected to travel more than other generations. A study among millennials who travel frequently reveals that they rank activities such as experimenting with new cuisines (70 percent), theme park (62 percent) and outdoor adventures (59 percent) more highly than casino gambling (38 percent). Millennials thus prefer having a social element to their leisure activities, and want to participate in creating enjoyable experiences rather than being passive participants. The decline of the millennial gambler is not due to a lack of interest but due to a change of interest. Fantasy sports such as Daily Fantasy sports (a form of online game involving either imaginary or virtual professional sport teams) and e-sports (online arena games such as Call of Duty) are drawing a massive segment of customers and millennials are eager to wager on these games. Casino executives, gaming regulators and gaming manufacturers are constantly searching for new ways to engage this younger generation. One of those solutions could be hybrid games. A few casinos are now poised to introduce skill-based slot machines that involve more than just luck. This was made possible after gaming regulations were changed in Nevada and New Jersey allowing higher pay-outs in these skill-based games. Other states like Pennsylvania are also likely to follow suit.